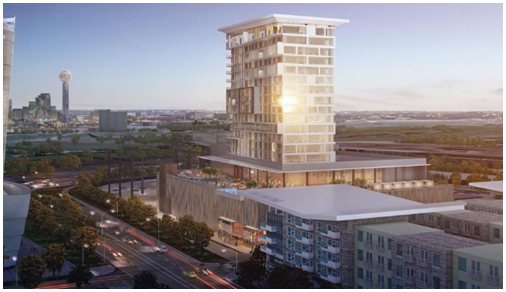 ​​DALLAS – A development venture for Dallas' Trinity Groves—an 80-acre mixed-use destination neighborhood—has some big plans for the next phase of its project. a five-story, 200,000-sf office building meant for creative-type firms. The 310-unit community is expected to have a structured parking garage, additional retail space and live-work units for artists and other creatives looking to work close to home. West Dallas Investments could also start a five-story, 200,000-sf office building geared to creative-type companies—much like the buildings in Dallas' West End neighborhood. This next big push of development—planned to sit on roughly ten acres—could begin to deliver in late 2018 to early 2019. ​W​ant more data? See DFW Office, Multifamily, and Hotel Market Research.